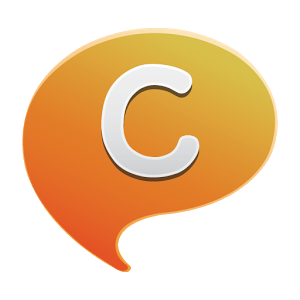 Samsung's ChatON comes pre-installed on a good number of the world's Android devices, and while many of you would take that as reason alone to overlook the app, a good number of other people take the time to check it out. 100 million, apparently. Samsung's happy to announce that its instant messaging platform has doubled the number of users it had back in May. Their excitement is understandable, considering the app first launched in October of 2011. Suffice to say, it took much longer to get the first 50 million users than the second. ChatON comes pre-installed on most Galaxy devices, and given how Samsung has been selling these devices like gangbusters, a solid number of Android users lay eyes on the app icon at least once, even if they never give it more than a passing glance. That's not to say that the app is exclusive to Samsung devices - users can also communicate using iOS, Blackberry, Windows Phone, and PCs. The service also transcends borders, and it's increasingly popular in Europe and the Middle East. Since each user needs a Samsung account ID to use ChatON, this rapid growth could make it easier for more people to adopt additional Samsung hardware and services in the future. Whether or not you ever intend to use ChatON, it's a service to keep an eye on. Samsung is not content to push hardware alone, and their current offerings could be just the beginning.